Facebook has grown into the largest social media. The social media platform boasts with more active users than the entire Chinese population today. Feedough reports that Facebook has 1.79 billion monthly active user accounts, which accounts for approximately 23% of the worldwide population. At least 70% of Facebook users log into their accounts every day – and they spent as much as 50 minutes or more on Facebook each day. The majority of Facebook users, or 54% to be more specific, only uses Facebook from a mobile device, such as a smartphone, feature phone or a tablet. 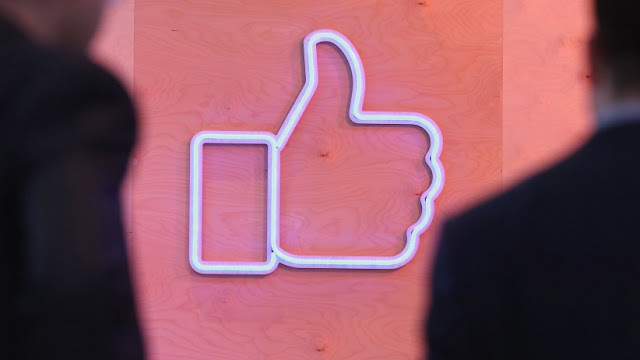 Enough with the figures – by now, you understand just how big Facebook is. At the same time, as a small business owner, you should also be seeing a potential opportunity to promote your products and services to your target audience directly on a platform they spent almost an hour a day on. Marketing campaigns can cost a lot of money. Webpage FX reports that a national advertisement on television costs a minimum of $63,000, with some campaigns running up to as much as $8 million. An advertisement in a national magazine, on average, costs around $250,000 and an advert in a national newspaper usually costs around $113,000, with some brands paying as much as $1.4 million. When it comes to promoting content on the internet, the costs drop dramatically, but can still be quite high for small businesses. A national pay-per-click marketing campaign can cost as much as $10,000 to set up, and then the company has to pay for every click the ad network brings them. An email campaign, web content marketing campaign and search engine optimization campaign can also cost quite a lot of money. These figures might seem like small amounts to big brands like Apple, McDonalds and Microsoft, but to a small business, they can seem unreachable. The fact that a return on investment is never guaranteed further increases the risk for a small business – and, let’s face it, small businesses are trying to lower their expenses and increase their revenue as much as possible. For this reason, a small business owner often tries to avoid advertising opportunities that seem risky and could lead to a loss rather than profit. Testing out newer methods are also something that small business owners find daunting as they never know whether or not the method might work. There is also the fact that different advertisement networks work for different niches. The reality of the matter is that small businesses still need to promote their products and services if they wish to see a good revenue and attract new clients. While several free marketing tactics do exist, these often do not yield an adequate amount of results for a small business to operate in the long run. Thus, a small business owner often needs to consider utilizing different advertising platforms even if they seem daunting and risky. Fortunately, there are ways in which a small business can promote their brand, their products and their services to customers without having to take risks that could lead to bankruptcy. We’ve already given you some vital statistics about Facebook in this post and you should’ve already noticed that the platform has a lot of potentials. One in every four people has a Facebook account – this means that many people that are already walking into your store to buy something from you (or visiting your website) have a Facebook account. At the same time, it means that there are many other people in your area that are also using Facebook but haven’t discovered your business yet. In this guide, we would like to tell you how to target these people and make them choose you over the competition – without risking too much. First of all, you should note that Facebook can be utilized without any marketing costs in some ways, but, in this guide, we would like to specifically focus on Facebook’s Ad Network. While the free marketing tools provided by Facebook can be useful, they are no match for the social media marketing it offers. Before we start this guide, let’s take a quick look at some vital statistics that you, as a small business owner, should consider. We Are Social Media reports that approximately 250 million posts are liked every hour of every day on Facebook. Buzzsumo reports that Facebook posts that contain an image obtained approximately 2.3 times more engagement that the posts that do not contain an image. Inc.com reports that adding a video to a Facebook posts increases the likeliness that a user will purchase the product after viewing the post by as much as 80%. Finally, we also want you to note that Biz Journals recently reported that, after completing an extensive survey, the found that almost half of all Millennials consider social media platforms posts to have a significant impact on their purchasing decisions. Now that you know the potential Facebook has to offer your small business, let’s dive into the guide. We would like you to note that there are some facts that should be considered before you start a Facebook advertising campaign. These facts can have a considerable impact on the efficiency on your Facebook ad campaign and it could also affect the ROI you obtain from your marketing campaign. Before you start a Facebook ad campaign, consider the following factors and, should they not be implemented yet, take some time to implement these “tips” to increase the success and potential of your campaign with the Facebook advertisement platform. To properly utilize Facebook Ads, your small business should already be present on Facebook in the form of a Facebook page. If you do not have a page dedicated to your small business on the platform yet, log in now and create a new page. To create a page, first sign into your personal account that you would like to associate with the page you are about to create. Look at the left sidebar on the homepage of Facebook after logging in and click on “Page” in the “Create” section. You will now be presented with six options to choose from. These options represent the type of page you want to create. It is vital that you choose an option that closely matches your business. Most small businesses choose the “Local Business or Place” option as this allows them to add a local address to their Facebook page, making it easier for their followers to find them on a map. Once you click on the type of page you would like to create; you’ll be prompted to complete some essential information about your business. If you have chosen the “Small Business or Place” option, then you’ll need to enter a page name, choose a category and add your business’s address and phone number. Enter these details and click the “Get Started” button to proceed. This will create a blank page for your small business – now you need to customize your page. If you already have a Facebook page for your small business, then you need to make sure you customize it so that it looks professional. You should make sure your page has a profile picture and a cover photo. Also, list your products and services, and make sure your address was entered correctly to enable customers to find you on a map. You also need to add a professional description to your page. Finally, a button should also be added to your page – and use an appropriate call-to-action when adding a button. In addition to making sure your Facebook page is professional and has been configured in such a way to drive conversions, you should also consider your website before you launch a Facebook advertising campaign. Remember that your Facebook page is linked to your website and you may also want to send Facebook users directly to your website when using the advertising platform, so your website should also be optimized to increase engagement and conversions – and not to drive customers away from your site. The majority of Facebook users access the social network through their mobile devices. This means that a lot of the Facebook users that are going to click on your ads will most likely land on your website from some mobile device – this could include a smartphone, tablet or even a feature phone. For this reason, you need to ensure your website works effortlessly on mobile devices. Open up your website on your smartphone and tablet – make sure everything works correctly. If there are any problems, you should modify your website to be more mobile-friendly or, alternatively, change your website’s theme to a responsive theme. You’ve come to the point where you are ready to set up and launch your very first Facebook ad campaign for your small business. Congratulations. Believe it or not, but Facebook ads are most likely much easier than you think it is – and we will tell you exactly what to do (and what not do to) in the next part of this post. To get started, log on to your Facebook account and navigate to the front page (timeline). Similar to how you create a page, look at the left sidebar – at the section that reads “Create”. This time, however, you should click on the “Ad” link. Alternatively, you can click the arrow next to the notifications icon on the top bar of Facebook, then navigate to “Create Ads”. Once you have clicked on “Create Ads,” you will get to the Facebook advertising platform. The very first thing you need to do is decide the objective of your marketing campaign. Note that you can run more than one ads at the same time, with each having their marketing objective. Each campaign, however, can only have one particular marketing objective. The objectives are divided into three primary categories, which includes “Awareness,” “Consideration” and “Conversion.” Let’s look at each of these objectives individually. • Awareness – This objective refers to ads that are meant to generate interest in the products and services your small business offer. • Considerations – This objective refers to ads that are meant to spark interest amongst Facebook users that might be interested in your products and services but, unlike awareness, the purpose of these ads are to get people to look for more information about your small business. • Conversions – This objective refers to ads that are meant to drive conversions, in other words, these ads are used to make sales or capture new leads. It is very important that you spend some time figuring out what your objective is with the Facebook ad campaign you are about to set up. Choosing the right objective at this point can greatly help to improve the results you obtain from your campaign. It is also important to note that some of these ad types will require some additional steps from your site – conversions in particular will require the installation of a tracking pixel on your website to thoroughly track the leads and sales that Facebook ads send to you. If you want to learn more about a specific type of ad, simply hover over the ad with your pointer and an “I” icon will appear next to the ad type’s name. Click on this “I” and a dropdown will appear with more information about the particular ad objective. Once you have selected a particular type of ad that you would like to run, you will need to enter a name for the campaign you are about to create. You will also see a feature that asks if you want to create a split test campaign – this step is quite advanced and we recommend starting with a standard ad if you are still new to Facebook Ads. * Note: For the purpose of this guide, we have chosen the “traffic” option as this is quite a popular choice amongst users of Facebook Ads. The particular options you are presented with may defer a little if you choose a different ad objective. After you click on the “Continue” button when you have named your campaign, you will be taken to the “Ad Set” page. This is where you will fill out valuable information about your Facebook Ads campaign. The first step, however, is to give your ad set a name. This can be done at the top of the page. The next step is to choose where you want to send your traffic to. Note that you will not be entering the specific URL of the destination here, but rather choose whether the traffic should be sent to a website, Facebook messenger or a mobile application. Once you have selected where traffic should be sent, you have the option to choose whether or not you would like to attach an offer to your ad campaign. This is still a relatively new feature for Facebook Ads, but it can greatly increase conversions. If you choose to set up an offer, you will need to “offer” something to potential visitors – such as a discount code that they can redeem on your website or in one of your local stores. You can choose to keep the “offer” feature off, or turn it on and make use of the feature. Now you have reached a vital part of your Facebook Ads campaign – the audience. In this section, you need to enter the targeting details of your Facebook campaign. It is vital that you do some research beforehand so that you ensure you target the right people. The more specific your audience, the better (at the same time, don’t be too specific to a point where there are no one to target). On the right side of the “audience” section, you’ll notice a bar that looks like a speedometer – try to keep the arrow within the green part of the bar. • Location – you can choose to target an entire country or multiple countries. If you want to target local clients in a particular area, you can specify a zip code, city or state that you would like to target instead. • Age – you can specify the minimum and maximum age of your target audience. This can be very helpful. For example, if your small business caters to individuals with arthritis, your main target audience might be older people. If your company develops toys, on the other hand, your target market may be somewhat broader as you’d like to target the children and their parents (you could set up two ad sets with different targeting options here). • Gender – you can choose to target particular genders (male or female), or to target all genders. • Languages – you can choose to target people that are speaking particular languages. • Detailed Targeting – here you can choose from a variety of options and deeply customize your targeting. You can choose between demographics, interests, behaviors and much, much more. • Connections – Finally, you can choose to only target people who are connected to Facebook pages, apps and events in particular ways. After setting your targeting options, you need to decide whether Facebook can automatically choose the most appropriate placement options for your ads or not. If you would like to manually set up placements, you can choose to have your ads shown on Facebook, Instagram and their Audience Network. The final step for ad set customization is to set a budget. You can choose between a daily or lifetime budget. A daily budget will be an average amount you would like to spend each day your ad is running. A lifetime budget is an amount you would like to spend throughout the lifespan of the ad campaign. You can also set the ad to run continuously until the budget has been depleted or you can set up your custom schedule. There are a couple of other options that you can choose from here as well, including the optimization of the ad, bid type, when to get charges and the ad delivery type. Finally, click on “Continue” to move on to the last section. The last part of setting up a Facebook Ad is to create your ad. At the top of this page, you need to connect your Facebook page (the one you created or customized earlier) to the ad. You can also connect an Instagram account. Once you have connected your pages, you need to choose an ad format you would like to use. There are five different ad formats and each of these are pretty much self-explanatory. Once you have selected a format, you need to use the tools available at the bottom of the Ad page, including the “Media” and “Links” sections to customize the ad. Remember to add a catchy title and description, and to make the most out of every part of the ad that you are creating. To complete the process, simply click on the “Place Order” button at the bottom of the page. Facebook will then review your ad and set your campaign to become active soon afterward. While large corporations have millions of dollars to spend on advertising and usually have the opportunity to test out new techniques when it comes to promoting their products and services, smaller businesses often find it difficult to find the right advertising channels as they cannot afford to lose money on experimental promotional methods. Facebook advertising poses as an effective marketing channel for smaller businesses due to the easy-of-use, convenience and, of course, the affordability that is attached to promoting a small business on the network. Stevan Mcgrath is a digital marketing professional who possess expertise in brand design and development. Stevan is passionate about utilizing his diverse skill sets for new and innovative online marketing strategies. He has worked as a freelancer and a contributor to Provenseo. Despite having a wide influential reach, he seeks client satisfaction as his topmost priority. He also writes blog posts on recent digital marketing trends. To know his work and more details you can follow him on Facebook, Twitter, LinkedIn or Google+.